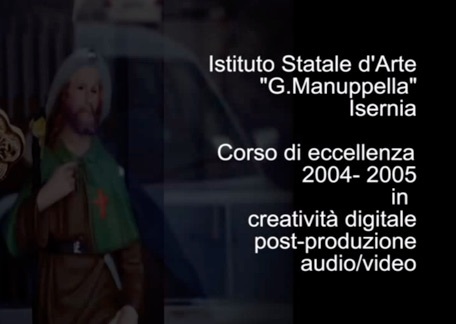 Our goal is to produce a workshop about animation +digital photography + digital audio + artistic audio video documentation. The final result will be an art work that can be used as a audio video installation and a live media. Normal consumer technologies will be used such as a small digital photo camera, a minidisk recorder and a normal computer. The students will participate in a course where they will be taught how to look in a dream like way at the territory and its sounds, making an emotional portrait of the colours, the animals, plants, surfices, the people and monuments. The soul of the territory will be rap presented. The workshop is fom 4 to 15 days long and is for cultural associations, but also schools, or art gallery. There must be from a minimum of 7 to a maximum of 15 participants, not professional, for an concrete application of a theory of lesson.